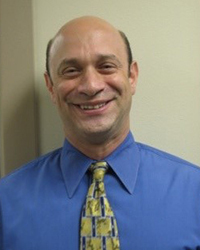 Todd Berger MD, is the founding Residency Program Director at Dell Seton Medical Center at the University of Texas at Austin, where the first class matriculated in 2012. Prior to moving to Austin, he spent 11 years at Emory in Atlanta, where he served as the Associate Program Director. Dr. Berger began his career as a seventh-grade science teacher. He then went to medical school in New York with the goal of teaching medicine. His academic interests are medical education, curriculum design, evaluation, faculty development and accreditation. Dr. Berger's favorite piece of advice for his faculty is that "the secret to being a great mentor is to always be very generous with your time." Some of Dr. Berger’s professional memberships and activities include; The American College of Emergency Medicine, Society of Academic Emergency Medicine, South Central Regional Meeting Planning Committee Inaugural Chair, Council of Residency Directors New Program Leadership Track Chair, Standard Letter of Evaluation (SLOE) Task Force, Program Leadership Development Subcommittee, and Texas College of Emergency Physicians. Dr. Berger married his wife, Sabrina, a family therapist, in Yosemite National Park. He spends his time with his two boys, Jason and Josh, and also enjoys the outdoors, photography and travel, preferably all at once. He’s had 'boots on the ground' in 42 countries on 7 continents.